NATS successfully transitioned air traffic control services at Manchester Airport to the new £20m tower during the early hours of Thursday morning (27 June). The switch-over from the old tower on top of Terminal Three to the new state of the art facility on the opposite side of the airport happened at 1.17am. The last aircraft provided with a service from the old tower was a Thomson flight from Paphos. The first aircraft to receive a service from the new tower was an easyJet flight from Tenerife. Following transition the old tower shadowed the new one for an hour before being vacated. NATS Manchester General Manager Paul Jones said: “We are delighted to have successfully switched our operations from the old tower to this, our new air traffic control facility for Manchester Airport. “The transition to full operations is the culmination of a long project to enhance still further the service we are able to provide to Manchester Airport, the airlines and the thousands of people that fly into and out of this airport every year. 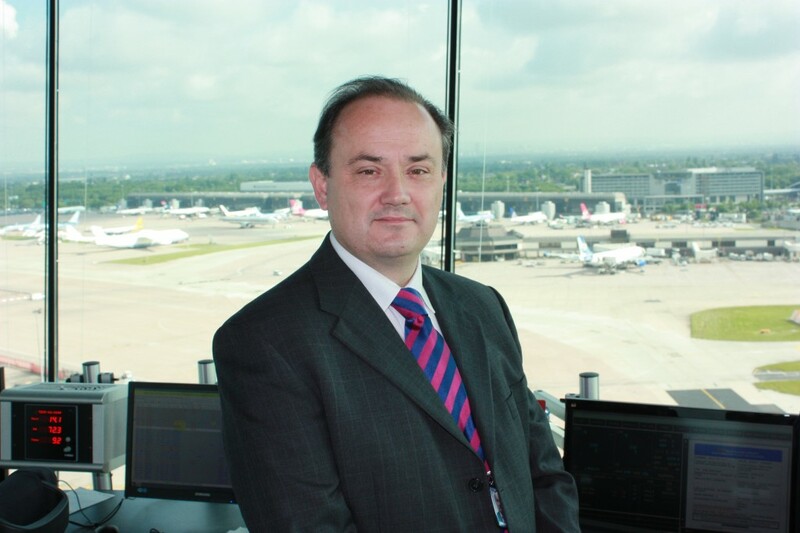 Andrew Cowan, Chief Operating Officer for MAG, owners of Manchester Airport, said: “We are delighted with the new control tower and pleased that the transition went smoothly as planned. It’s a fitting moment for us and demonstrates our continued investment in Manchester Airport, and this will be our most significant development in the airport this year. The new tower stands 60 metres, making it the second tallest in the UK behind Heathrow. The old control tower at the airport had been operational since 1962 and will now be decommissioned. NATS installed the latest technology in the tower to enable controllers to continue to provide a safe and efficient service for the 170,000 aircraft movements at the airport this year. More than 70 different systems support the air traffic control operation in the tower. NATS staff underwent a three-month training programme to familiarise themselves with operations in the new tower ahead of the transition. The new tower has 360-degree panoramic views around Greater Manchester and into Cheshire, providing a much improved structure when compared with the former tower. NATS will manage the equipment and run the tower’s 24-hour operation while Manchester Airport will own and maintain the building.